There are many trusses to choose from. Scissors trusses, for example, are rather popular these days. They offer ceilings that have vaulted or cathedral shapes. Common trusses, true to their name, are indeed common. These trusses can accommodate roof shapes that are frequently seen in home designs. Engineered roof trusses run the gamut. Some of them span a maximum of 16 inches. Others are significantly larger and span anywhere between 54 and 80 inches. 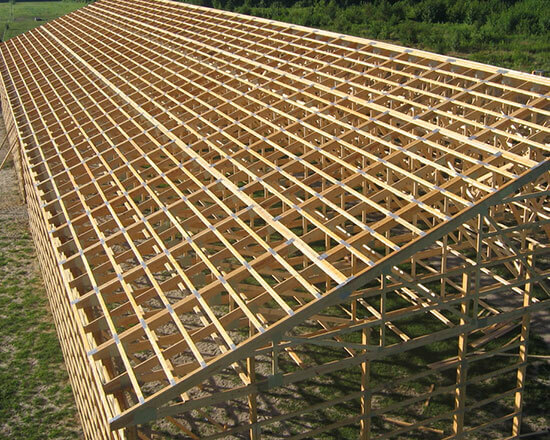 Contact us so we can help determine which trusses are right for your building. Contact us so we can help determine which trusses are right for your building. The following diagram shows the most common types of Engineered Roof Trusses. We'll meticulously assess your building and figure out what exact type of truss is most suitable for its specific needs.